Easy Knitting Patterns for Free - Why Make it Hard? I’m serious, why not? Easy knitting patterns? Please don’t allow anyone or anything to stop you from knitting for your baby or anyone else’s. Knitting for babies or adults can be daunting if you are a knitting beginner. But if you choose an easy knitting pattern you will have a better chance of having a pleasant experience. There is just no reason for you not to enjoy the pleasure of seeing something being made from needles and yarn right before your eyes with your own hands. Easy knitting patterns are definitely a way to convince you of this. It is really remarkable the feeling you get when you start knitting. And the trick to this is simply to use easy knitting patterns. Many of the patterns on this page are also Free easy knitting patterns. You can’t beat that and they are beautiful. I hope you will love them. Many of them I have made and enjoyed. This page has several adult and baby easy knitting patterns. You will find fun and stimulating ideas to give your knitting a real boost. If you want to start with babies, try knit baby blankets, or straight little jackets without cables or twists and how about little sweet baby hats, really so many choices. If you want to start with adults, try a scarf. 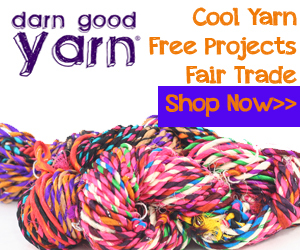 You can use any kind of yarn, any color and any stitch. You want to start out straight forward to learn, but it can evolve. You might like to try fingerless mitts or hats, so many wonderful ways to start. There are really so many easy knitting patterns. Explore this page and see what appeals to you. Just keep it simple. But most importantly just get started. Using Easy knitting patterns you will enjoy your knitting experience. This precious little kimono-style sweater wrap is a very easy straight forward knitting pattern that is perfect for the beginner. Colder days will bring this little sweater out of the closet, perfect for layering and fashionable for your little princess. This is one of the many Free Easy Knitting patterns from Bernat a site I use all the time. This is a very beautiful but straight forward understandable instructions. Complete pattern for you to use. 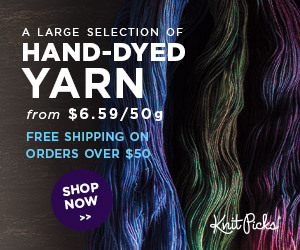 Try a soft solid color baby yarn that will show off the details of the pattern. You are going to enjoy this easy knitting pattern. A wonderful knitting book filled with take along projects. Most knitters keep a stash of take along knitting projects, small things that are not requiring much yarn or supplies. Your needles and a pattern and some yarn and you are good to go. What about while riding in the car, or standing in line, or public transportation. You just wish you had your needles. Well now you are going to be well supplied with projects to keep you busy, no matter where you are. 20 great patterns, scarves, mittens, even some earrings. You’ll have fun and never be without your knitting again. Booties, Blankets and Bears, Oh My! A wonderful knitting book filled with take along projects. Most knitters keep a stash of take along knitting projects, small things that are not requiring much yarn or supplies. Your needles and a pattern and some yarn and you are good to go. What about while riding in the car, or standing in line, or public transportation. You just wish you had your needles. Well now you are going to be well supplied with projects to keep you busy, no matter where you are. 20 great patterns, scarves, mittens, even some earrings. You’ll have fun and never be without your knitting again. Just fun projects to cover those little precious bottoms dressed in their diapers. Diapers are not pretty and cute but the little bottom in them is adorable. Why not make some precious little cover ups hand knit by you. Great for your little one but perfect for gifting. Makes the ensemble. Such a cute idea and they are great easy knitting patterns. This striped hat and scarf set makes a beautiful unisex project for men or women. This is a Free Pattern that is on the LionBrand Site. It is available after you sign in. It is a free site. Just give them your email address and viola! tons of beautiful patterns. But notice the pattern, simple stripes. And just using knits and purls. this is a great pattern choice for an easy knitting pattern that will help you enjoy your knitting experience. A Bit More Difficult, But Still Quite Doable! This is one of the very satisfying easy knitting patterns because it is quick to finish. By doubling the strand of yarn it makes it thick and using larger needles, makes the pattern work up really fast. And the stitches are all knit or purl. You get the pattern by switching from knitting the knit stitches to purling the knit stitches in different patterns. A great looking scarf you can be gifting or wearing in no time at all. This is a small detail but adds a professional touch. You will generally see this instruction when you have been knitting using a stitch pattern instead of stockinette. Work the next row of the stitch pattern, knitting and purling just as if you were working that row, as you bind off. Sometimes a pattern will tell you specifically where to decrease or increase across a row; other times it will only tell you the specific number of stitches to decrease or increase and to do so evenly. You don’t want the decreases or increases together at one end but spread out as evenly as possible across the entire row. Otherwise, it will cause your knitting to pucker and flare. For help on how to determine how to spread out your decreases or increases evenly, please see Increasing Evenly. You will find the principle is the same to decrease evenly. If you knitting a stitch pattern, you’ll just follow the instruction for each row as long as you keep working over the same number of stitches. But as you shape a project, such as a sleeve or a neckline, you will find that you need to increase or decrease the number of stitches you are knitting. This changes where you will begin and end each row. Please see Keeping To Pattern for help. A stitch multiple is the number of stitches you need to have for one complete repeat of a stitch pattern. A multiple of 5 stitches means you should cast on any number of stitches that is divisible by 5. A multiple of 6 + 1 means you should cast on any number of stitches that is divisible by 6 plus 1 extra stitch. Almost all cardigan patterns will give you exact instructions for knitting one front; the other front instruction will tell you to knit it the same way, but reverse shaping. The neck and armhole edges are at their logical respective places. With the right side facing the public, hold the left or right front up against you. This is the easiest way to tell which is the armhole edge and which is the neck edge if you get confused. To reverse shaping, work the shaping at the opposite end from where you worked it for the first side. Usually you will begin to shape an armhole by binding off stitches. If you bound off the stitches at the beginning of a right side row for one front, you would bind off stitches at the beginning of a wrong side row for the other front. This keep the shaping on the correct edge. If you are increasing or decreasing at the beginning of a row for one front, you would increase or decrease at the end of the row for the other front. You will also see this word spelled selvage. All knitting has a selvedge on each side. It only means the first and last stitches. If it’s something that will be seamed, these are the stitches that will be used to seam the piece together; they will no longer be visible when it is sewn. With knitting projects such as scarves and afghans where there are no seams, you will have a selvedge. You will sometimes see a pattern that tells you to work the first and last stitch in a specific way, such as slipping the first stitch and knitting the last stitch. This creates a neat selvedge on each side that enhances the look of the project. You will often see this term when you are about to pick up stitches along an edge but you may see it at other times as well. The right side, or the side that will be facing the public when it’s completed, should be facing you as you work. This term often follows a sequence where you just completed shaping and have increased or decreased. You will have a different number of stitches than when you began that sequence. You are now working over the number of stitches you currently have. 7 Booties, Blankets and Bears, Oh My!